As an SMB owner, payroll is something that you are probably going to try to keep in-house as long as possible, especially if you are worried about the cost associated with hiring a payroll service. If you aren’t careful, though, you can find yourself in the middle of some serious problems. Here are five of the biggest nightmares when it comes to payroll and what you can do to keep them from happening to you. An employee accuses you of shorting him a bunch of money and benefits on his paycheck. Your employees don’t have time cards or have to turn in time sheets because you trust them and don’t like the feeling of having to live by a clock. The Fix: Learn to love the clock. 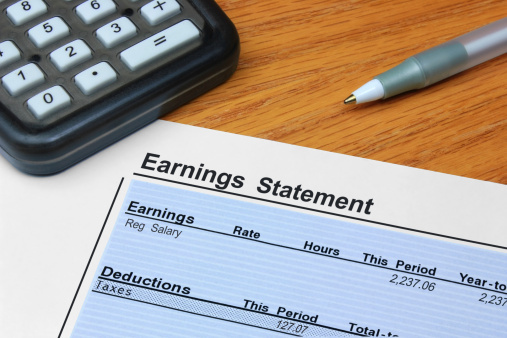 When someone accuses you of shorting a paycheck, you can pull out the time card or time sheet and match it up to the paycheck and either fix it or show them how accurate their paycheck actually is. It’s time to balance the books and make sure that all of the money and paperwork are accounted for. You look at the mountain of paperwork threatening to avalanche to the floor and glance at your computer monitor where all of your files sit on your desktop screen because you haven’t had time to organize them yet. Uh-oh. The Fix: Get organized! Proper filing and recordkeeping is the key to making sure that your business is running smoothly. Among other things, it can keep you from making a ton of payroll mistakes each week. It will make your audits go more smoothly as well. Once again you are late getting the paychecks out. You meant to do them, but things kept coming up, and now your employees are ready to start selling your furniture on e-Bay to make up for having to wait days (or even sometimes weeks) to get paid. The Fix: Hire someone to do the payroll for you. This way you won’t have to worry those meetings and unexpected “fires” will keep you from paying your employees on time every week. You know that you need to pay taxes based on your business’s income but did you know about payroll taxes and how to make sure that you are filing them properly? No? The Fix: Hire an accountant and work with an IRS representative to make sure that all of your payroll taxes get completed properly and on time. You feel more comfortable having people working on-site, and you want regular reports about the work they are doing. You basically want your people to feel like employees but have decided to classify them as independent contractors because it saves you money. The Fix: Learn the difference between an independent contractor and an employee. The IRS has very strict rules about what a person can and cannot reasonably expect from independent contractors as opposed to the people an employer hires to be employees. Follow the rules. The last thing you want is to have an IC report you to the IRS for violating these criteria. These are just five problems that you can run into when you try to do the payroll yourself and in house. The good news is that avoiding them is, for the most part, easy. At the same time, hiring some help or outsourcing your payroll duties is also something that is definitely worth exploring.